Are the sands of fortune on your side in this Egyptian themed 5 reel slots casino? Uncover the ancient tomb of Imotep and relinquish the secrets of his mysterious past in this exciting online slot experience. Beware of the scorpions and snakes they were always Indiana’s Achilles heel. Developer Eyecon has been running a successful computer game company for over 20 years. Two years after it was founded their online casino took off and their first slot game was introduced in 2003. They are one of industry’s leading online slot game developers for bingo and casino based websites. Eyecon has produced over 60 high quality popular and timeless games available to players across many online gaming platforms. Each game is created to provide every player with a game they can enjoy for a long time and each year more players and playing unique games with Eyecon. To see more Eyecon games please click here. 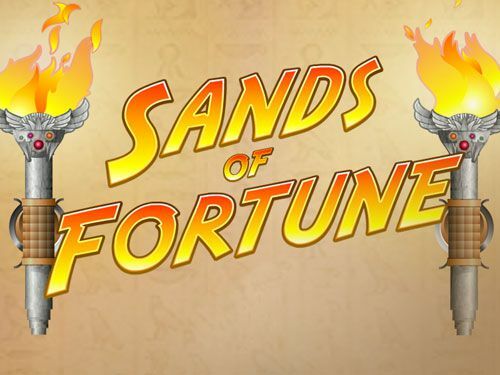 Take a trip to the Egyptian desert in this adventure filled game, Sands of Fortune. In this 5 reel 9 payline online slot game you will embark on an adventure and discover places in a bid to win the treasure. The Egyptian theme is apparent here with ancient paintings and hieroglyphs on the screen. 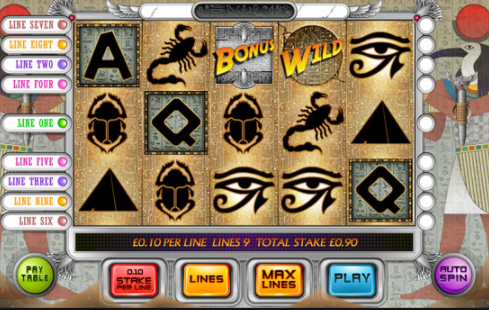 A range of symbols within the game include Wilds, Jackpots bonus and high ranking cards – Q, K and A, Eye of Horus, Pyramid, Scarab and a Scorpion. Stake’s can be selected per line anything from 1p to £2.50. You may choose from 1 to 9 of how many paylines you’d prefer. Auto spin can also be activated if you wish to play the game continuously without selecting spin each time. The wild icon represents a wild symbol this wild symbol will substitute all symbols to compromise winning combinations. The jackpot is the highest paying symbol, you will be awarded 5,000x worth your stake if 5 symbols appear on an active payline. 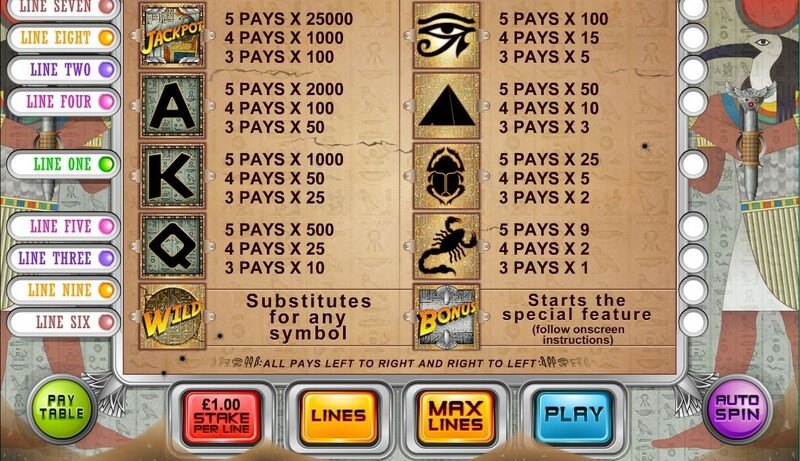 The Special Bonus feature will be triggered if 3 or more bonus symbols appear on an active payline on the reels. The Special Bonus feature will take you on a camel ride to a spectacular to the pyramids and will start your search to find secret treasure, artifacts and bonuses when you reach a corridor. There are 3 corridors you must choose from to start your exploration. You must be careful as there are traps all around, if you are successful then you can earn ancient items that are worth something. You will be rewarded more items for each room you are successful in. You treasure hunt will end should you get a Trap run and will prompt you to leave the bonus tomb but you may still find treasure elsewhere. All wins are paid from left to right and wins can be anything from 1 to 25,000 coins depending what the numbers and symbols on the winning line. The unique thing about this game it’s possible to win from pretty much anywhere on the reels as all adjacent symbol pay on any active payline, this makes your chances of winning big a lot higher. The developers got the theme of the game perfect through it’s a great choice of animations, colours and functions. Sands of Fortune offers a variety of bonus which makes the game more interesting and keeps you playing for longer. RTP 93.76%. Another fun game to try is Teddy Bear's Picnic slot.